Before installing Windows 7, we duly ran Microsoft’s upgrade advisor, to find out if our computer and peripherals could handle it. The advisor was a bit off. The advisor told us that three of our favorite programs, iTunes, Greeting Card Factory, and Microsoft Web Expression, might not work without an upgrade, and gave us links so we could purchase new versions. It also said that we were going to have trouble with our webcam, a Microsoft LifeCam, but the rest of our hardware was fine. Wrong. First off, iTunes works fine in Windows 7. So does Web Expression. So does Greeting Card Factory. What didn’t work at first was our laser printer, an Okidata C5100. We discovered through trial and error that the printer was using a Windows XP driver, though we had long ago upgraded to Vista. Once we downloaded the Vista driver, it worked. 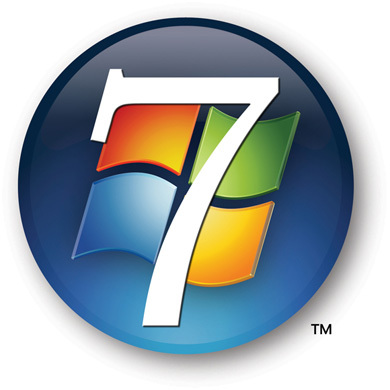 The new “Libraries” function in Windows 7 isn’t as much of a big deal as we originally thought. We expected it would go out and automatically gather similar files together and place them in the appropriate library. But you have to do that yourself. First you click the “locations” link and then the “add” button. After that, a folder with, say, Word documents that was located somewhere else on your drive other than the Documents area will now be visible in your Documents library. “Windows Snap” is fun. If you hold down the Windows key and press a right arrow, your current window moves to the right so you can see what’s beneath it. Or you can move it to the left with the left arrow. The “jump list” is great. When you right-click an icon in your task bar, you see a list of the files most recently open in the program. Very handy for Word docs.